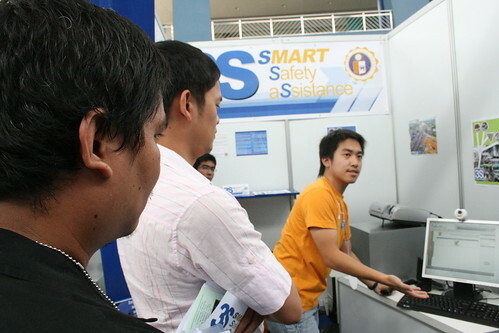 A STUDENT project that uses social networking, short message service (SMS) and Smart Communications Inc.’s money transfer to gather relief goods for communities hit by disasters won this year’s Smart Wireless Engineering Education Program (Smart Sweep) Innovation and Excellence Award. The student team from Ateneo de Manila University (ADMU) won P500,000 for themselves and P500,000 in grants for their school last Saturday at the SM Megamall in Mandaluyong City. The Smart Sweep Innovation and Excellence Award was dominated by Ateneo schools, with ADMU taking the first and third spots and Ateneo de Davao University taking second place. The ADMU team of Marc Ericson Santos, Adrian Khan, Carlos Miguel Lacson and Marty Peterson Tan was mentored by Ronell Sicat. The team created an integrated system that allowed people not only to donate online but to also invite friends in their social network to donate to their communities of choice. The system also tracks the donations.